Since 2011, we are designing Seats exhibition appearances and sales events, together with United Visions. 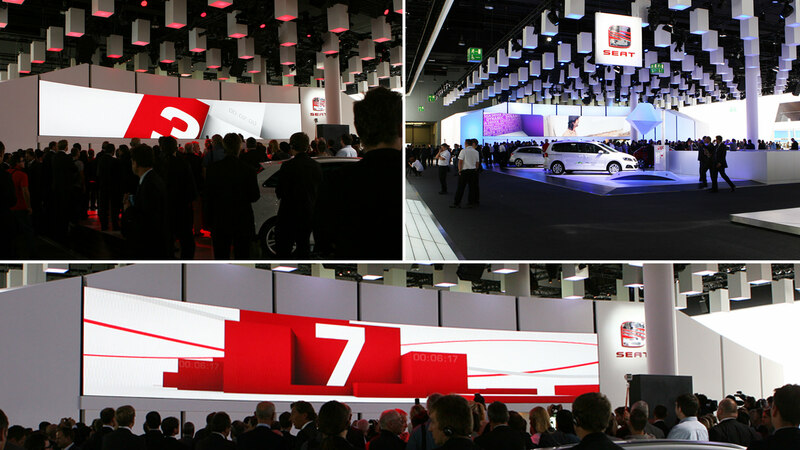 Seat presents itself as a confident and strikingly strong brand with a clear design language. 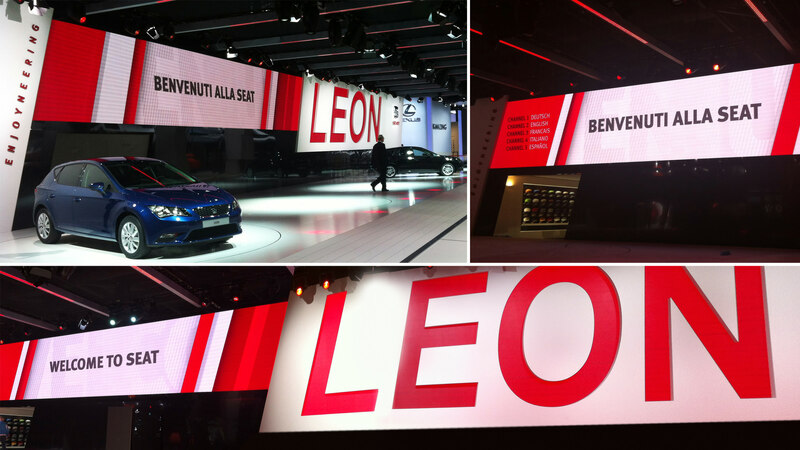 Next to the graphic content displays and high-res-LEDs for this event, we were also responsable for post-production of various other product-films for Seat.